Calling all artists! We need your help to design a shirt for the DC Chapter. 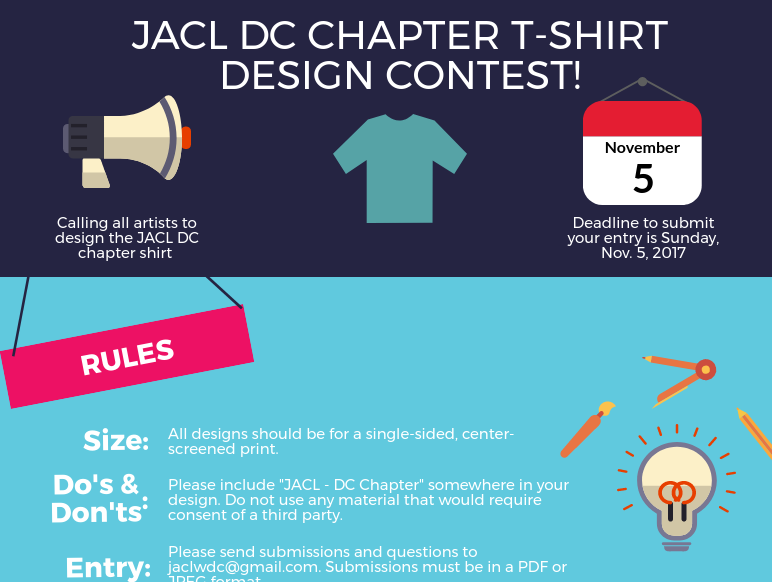 Submit your design as a PDF or JPEG to jaclwdc@gmail.com. You have until Sunday, Nov. 5 to send in your design. From the designs submitted, the DC Chapter board will choose three that DC Chapter members will vote on. We can’t wait to see all of the fantastic designs that come in – unleash your creativity and get designing!